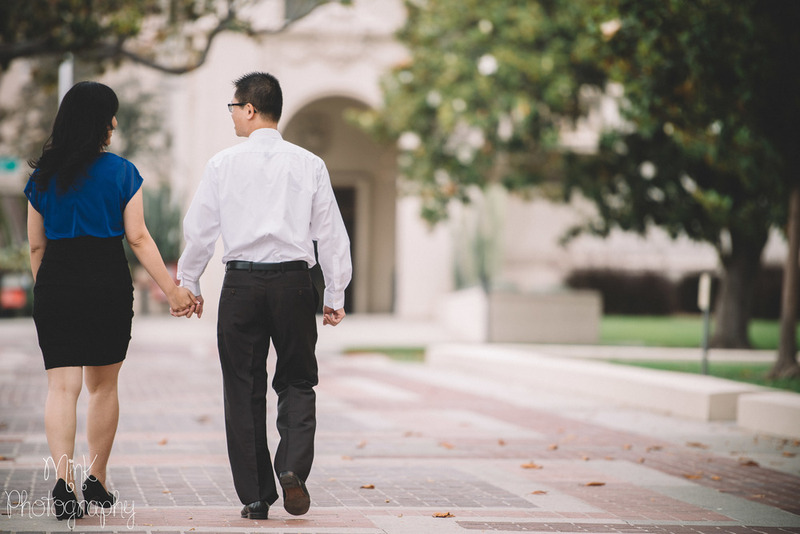 I am beyond excited to share some photographs from Carol and George's recent engagement session at the Pasadena Courthouse. 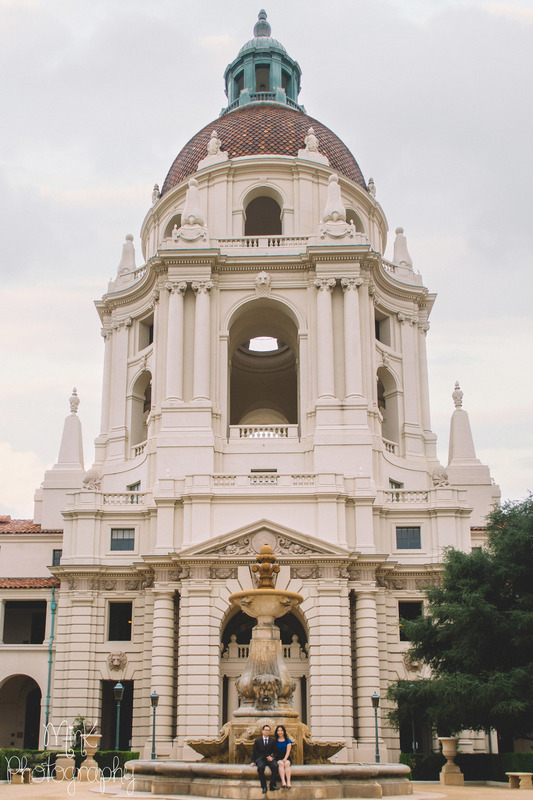 Located in Old Pasadena, the courthouse is a great backdrop for taking photos. There's a gorgeous courtyard, stairwells, and arched hallways which gives couples (and me!) lots of variety when it comes to photographing. Carol and George had never been to the courthouse in Pasadena but were really excited to check it out! They chose this particular location because they liked the idea having an architectural backdrop for their pictures. They got engaged in February were ready to get their photos taken, especially since their wedding is coming up this October! Again, like in my last post, the weather was so dreary all day. Honestly, it is so rare to have so many cloudy days here in California! Luckily the rain held off and we were able to have great weather, and towards the end of their shoot the sun even decided to peek out of the clouds. Carol and George were so fun to photograph! We walked around, talked, and picked out some great spots. 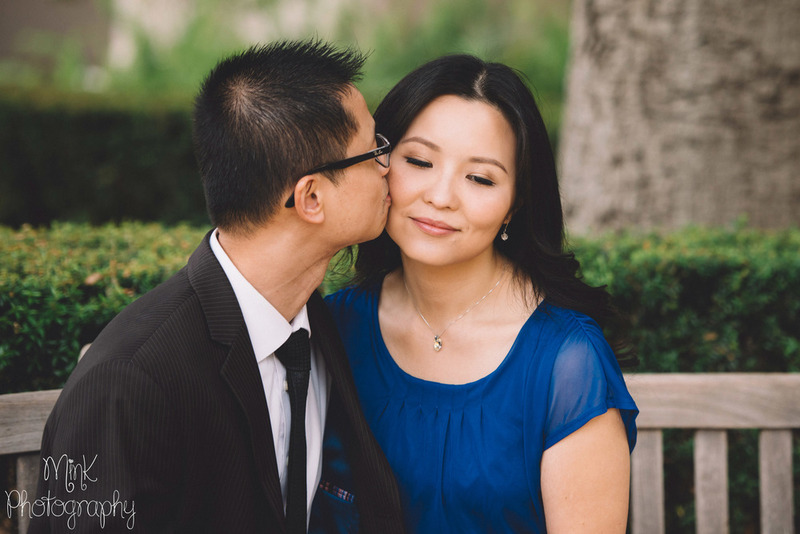 I especially love photos towards the end of my shoots, this is when couples start to get really comfortable in front of the camera. We really could have went all night!